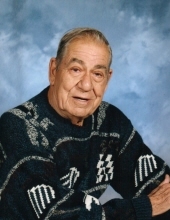 Harry M. “Mel” Selby, 87, of Shreve passed away Wednesday, March 20, 2019 at LifeCare Hospice, Wooster. Mel was born Feb. 1, 1932 in Cleveland Oh to the late Harry and Marquerite (Morgan) Selby. On May 10, 1980 he married Jane E. Croskey, they had been married 38 years and Jane survives. Mel honorably served his country in the U. S. Army during the Korean Conflict. He had worked for 35 years at Addressograph Multigraph in Holmesville and then retired from Rexroth after 14 years of service where he was an engineer and a tool and die maker. Harry had been involved in the Masonic Lodge since 1955, loved working in the yard, landscaping and growing many varieties of flowers, and loved his life in the country. Surviving in addition to his wife are his children, Mike (Vicky) Croskey of Shreve, Debra Miller of Shreve, Darcy Croskey of Shreve, Laurel (Russell) Ollis of Ashtabula, Linda (Ray) Muzic of Mentor, Jim (Cheryl) Selby of Philadelphia, Pa. and Marianne (Warren) Dempster of Eastlake; 13 grandchildren; 4 great–grandchildren, Prescott, Remingting, Myka and Harper. To send flowers or a remembrance gift to the family of Harry "Mel" Selby, please visit our Tribute Store. "Email Address" would like to share the life celebration of Harry "Mel" Selby. Click on the "link" to go to share a favorite memory or leave a condolence message for the family.